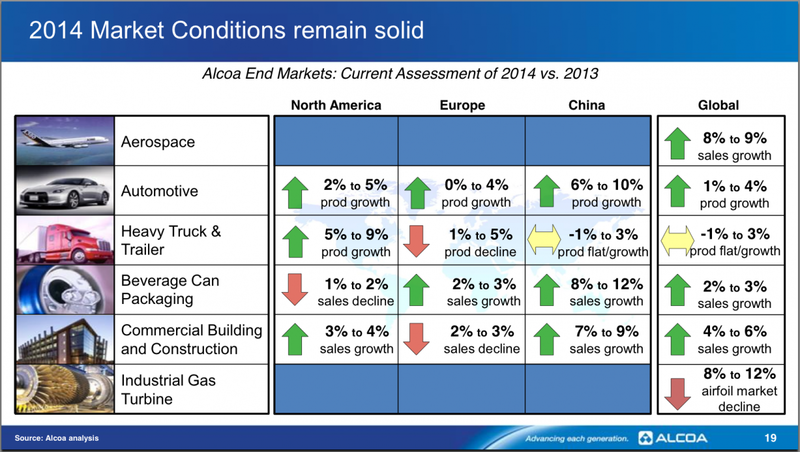 Alcoa published this graph picturing estimated yearly growth in demand in several sectors. These sectors are all heavy aluminium users which is the branch Alcoa operates in. As you can see Aerospace and commercial building and construction are expected to see the highest growth. Most growth comes from China, as can be expected. In North America most of the sectors are also expected to increase.